Last week we announced that we had reached 50% of our fundraising goal…good news! 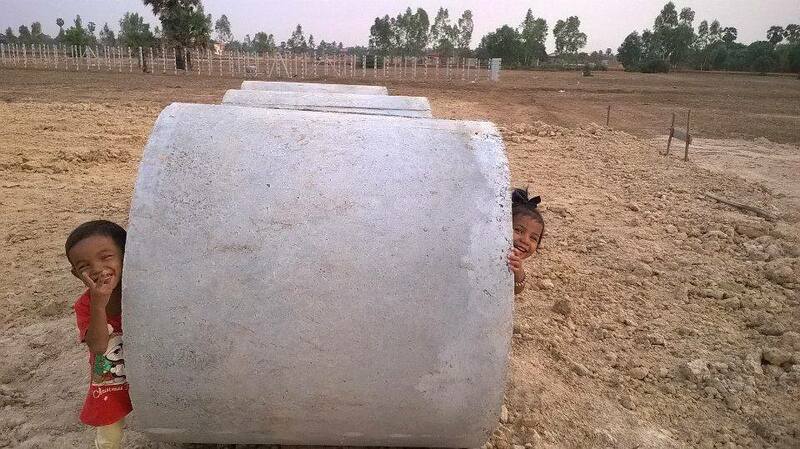 This week both the fill and the perimeter wall have been completed…see picture of the new wall..good news! Next Monday, we will begin construction on the kitchen and dining building…great news! 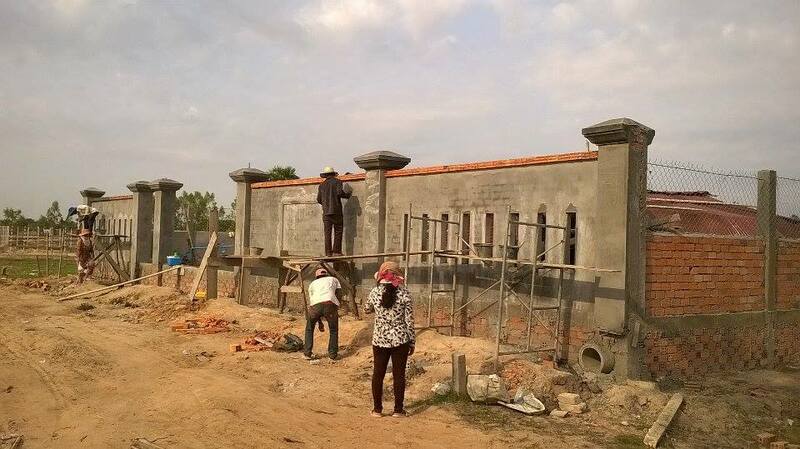 With the completion of the dining facility we will have invested all funds donated up through last week into the project….and because of a generous donor who has been paying all GoFundMe and transfer fees, 100% of your dollars have gone directly to construction in Cambodia! What other charity can make such a statement? “today have visit at CIO. the orphanage for the kids without the parent. and gife some rices from KARC…they had carring here by brother Sitha Toeung. Here not look like the orphanage . But look like the big family with the kids more than 40 persons feeding. We need to keep the ball rolling in order to keep construction going. Please share with your friends to help us reach our final goal!